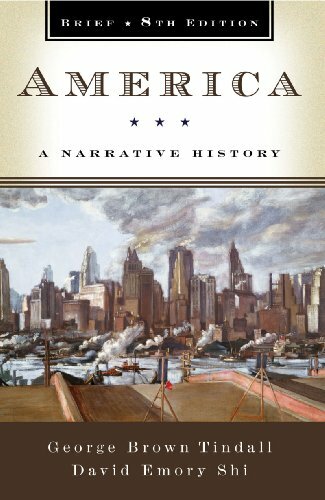 America , now in its twenty-fifth year, has sold more 1.2 million copies over the past seven editions and remains the most affordable history text on the market. The Brief Eighth Edition offers the attractive features of the full-length textâ€”lively and accessible narrative style, a keen balance of political with social and cultural history, a full-color layout, and exceptional valueâ€”in a more concise format. George Brown Tindall spent many years on the faculty of the University of North Carolina, Chapel Hill. He was an award-winning historian of the South with a number of major books to his credit, including The Emergence of the New South.